It's no secret that a healthy lifestyle is beneficial for everyone. Creating a positive mental state, making healthy food choices, and partaking in regular physical activity are all major factors to your overall well-being. When you can maintain a balanced life that includes a healthy mind, body and soul, you'll find that the external events of your life – all that stuff you can't control – have much less effect on your happiness and success in life. Your health does not just make your body look better and help to ward off disease and disorders, it provides a solid foundation to the reality that you can create a better life and it doesn't have anything to do with what is happening outside of you. Taking control of your health is most effective when you take a look at yourself with a holistic perspective. The holistic approach to health takes into account the complete person; their physical, psychological and social needs which directly relate to their spiritual selves. Basically, you would improve your overall well-being by integrating aspects of every part of yourself and by not just eating right and getting exercise. Your mind needs stimulation, you need social interaction and solid relationships, and you need to nurture your spiritual side along with honoring the operation of your body's physical aspects. How do you put this all together? 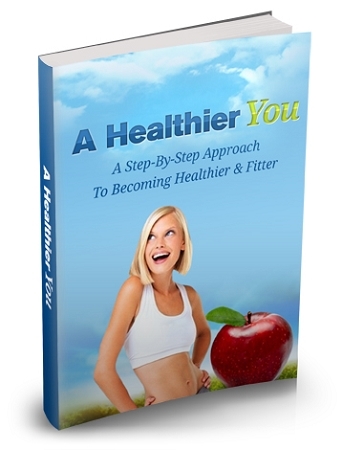 I've written a special guide to help you in all areas of your health. From eating the right foods to exercising and your mentality. It's not only important to have a plan to follow, but it's also important to have knowledge on the subject. 5 top tips to a healthy spiritual life. Your inner growth is the most important growth in your life, not only because it's what forms your perspective (which gives you a positive or negative take on your surroundings), but also because it is how you will discover what you were created for. A healthy checklist to follow. Discover 11 benefits of becoming more healthy. This checklist will surely give you more reason to become healthier. Developing a healthy mindset. Diet and excercise is one thing, but if your mind is not tuned in, then it's going to be harder to reach your health goals. This chapter will share positive traits and habits to developing a healthy mindset. How to fuel your body with the right foods. What you feed your body is the biggest factor in the health of your whole self. Not just your physical self, but also your emotional, social, mental and spiritual self. The benefits of eating raw foods. Exercise and fitness tips. Exercising doesn’t have to be a high-cardio session or a sweat-filled weight lifting experience. In this chapter, I'll show you some simple ways to build your fitness and cardio. How to set goals and plan. It's easier to follow-through when you have something tangible you can see, such as a goal. I'll show you how to plan, set targets and objectives.